How Much Can a Website Make? How Mine Made $55,000 in 2018. There is honestly no limit to how much a website can make you, and in my case, for 2018, this one made over $55,000. Here’s how I did it and how you can too. I run income reports on this page and a few others I have and while the overall income report for my whole online business is bigger than the $55k (it’s actually about $57k), this income report is only for this page (don’t worry, I provide the actual screenshots of the income below). Now I have to say, in the years before, it actually did better than it did in 2018. One of the reasons why is because I slacked off in 2017 and in this business, slacking off a little isn’t a big deal once you made it, but slacking off a lot which is what I did, has detrimental effects as it did for me. The fact that I produced a lot content in the earlier years. This content attracted a lot of free, search traffic and this translated into the revenue. Once that wave hit me, it lasted for a few years and naturally, I became a bit lazy from that as I said before this would cause major issues. In early 2018, I was seeing a critical trend on my page, in that my incoming traffic was dropping, and that meant, so would profits. I had to really get it together and start doing what I did before to get to the high point again and thankfully, it did recover. $56,000 came from promoting Wealthy Affiliate. In fact, over the years, the bulk of profits have come from promoting this program (see how I generated over $200k from it). A few hundred came from promoting a Clickbank program known as Freelance Marketing Secrets. And overall, Clickbank has always been a network I’ve promoted products on across this and other pages I own (see my $500k report here). Most of this income is recurring thankfully, because this is what allows me to have a stable income in this business. What about the other pages I own? How much did they earn? 1) I run a dieting blog which was actually quite dead for over a year until I discovered this interesting trend, took advantage of it and have since earned a little over $1,000. It’s not much, but I’m glad I took advantage of the opportunity that hit with that page in question. Then there’s also the mud run blog and drone blog I run, which had some steam in terms of content production in 2017, but because they weren’t making much, I had to focus my efforts mainly on THIS page, because well, this the one that earns me enough to pay my bills. 2) But in any case, the mud run page earned about a few $100. 3) The drone site also earned a few $100. 4) A work at home site which reviews mainly bad, scam programs, had earned me over $1,000 since I started it a few months ago. Now I’m not actually promoting any scams, I’m just exposing them and promoting Wealthy Affiliate. 5) Next is an SEO site which has yet to take “root” in the profit area, but that’s because I just haven’t really rushed it. It’s still being developed and very slowly growing, but it will be a big project that I know will do well in 2019. 6) And finally is a paid advertising product I am working on (here’s a snippet), and it is my first official product that I’m putting up on Clickbank in 2019 and having it get promoted by affiliates. There is a huge niche market for this particular project and I aim to really push this project in the coming year. I don’t want to get into too many details on all of these pages and projects because for now, it’s personal and while I have high hopes for them and will be working on them a lot next year, I don’t want to get carried away with making predictions. When the time comes and they hopefully do well, I’ll write a case study letting you all know about them. Most people simply cannot generate a few dollars on their sites, let alone a side or full time income, but I’ve thankfully been able to, and this for the most part thanks to the same program I’ve been making money off promoting, which is Wealthy Affiliate. And there’s others who through this program have earned way more than I did (here they are). And for those who dive deep into programs and hear that I’m promoting it, you may be thinking that this is the only thing it teaches, which is simply not true. As I explained above, there are other pages I’ve made money from, but it’s been little because I don’t have a lot of time to put into them. If I did, I promise, they’d generate far more. Take the Wealthy Affiliate courses. 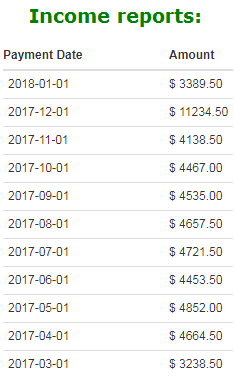 Next year, I hope to produce an income report on this site that shows me making over $100,000 on it. Usually looking at Google trends or best seller lists on Amazon is how I go about finding the micro niches Martin. Wow! Thank you for the inspiration! If I wasn’t already a member (of WA) I would have clicked the button! I’m glad I read your post because I needed to remember what I’m working towards. Everything you said about Wealthy Affiliate is true! Do you remember when you started about how many hours a day did you spend on just this website? Just curious! I used to work hours everyday on this site Shiloh, I still do on some days. It’s a combination of creating new blogs, new sales funnels, approving new comments, that sort of stuff. Thank you for a very inspirational post. However, your experience is probably not typical, since you have been in this business for many years and have obviously accumulated broad knowledge. I do not expect to earn the amount you are earning at my early stage, 6 months, and starting from scratch. I would like to know what amount of earnings is reasonable to expect in the first few years with just 1 or 2 websites. I would be interested in the cost of personal coaching. Since I am an older person I want to outsource many of the required activities and just focus on what I do best, which is writing on subjects in my niche. What would be the things that you believe could be outsourced for maximum efficiency. 1) Firstly, I am showing you a website in this article that I started in 2013. One can draw the conclusion that it took me 5 years to get to this point, but it’s not the case. I had other successful experiences prior. It does NOT mean it will take you a long time to reach as well. 2) How long it takes YOU personally to see results depends on the work effort, the ambition, the niche topic’s popularity and how well you write and if these things are aligned, I would not be surprised if you can see your first sale within weeks. 3) The problem with answering how long it takes to see results (here is an in-depth article) is that there are SO many factors and so many people FAIL at this business because they don’t put in the work of follow good training practices, such as those taught in Wealthy Affiliate. This obviously adds lag to their results and then if you factor in the mass amount of people who don’t succeed with those who do, it will dilute the average results and make everyone think it takes forever to get results. 4) You said you want to outsource on a niche site, while you focus on one you like. My advice would be to focus entirely on the niche site you love and worry about outsourcing later. The experience you will get from growing a niche topic you like will provide you with a plethora of amazing knowledge, experience and success that you will be able to use on any other niche site and then use the funds on freelance writers. In regards to freelance writers, I advise training the person you wish to hire, because they need to know what you want written and how you want it written. This is something you’ll be able to relay better when you gain the experience and success from the niche site you love. MOST freelancers are NOT experienced in doing this, which is why you need to train them, but you first need to be experienced enough in your own site, it’s blogging to share that with them. I have always heard that there is no limit on how much ones website can make for you. But sometimes I ask myself how? I have read different posts on this but I think I got the way forward and answers to most of the questions I had from having read through your article. Thanks for exposing this to us. Thank you for this awesome post. Reading your report really inspires me to make this internet marketing adventure work for me. This page has proved that we can make a full-time income with an online business as long we have the right mindset and realization to succeed. I like that WA is a platform filled with mentors that are there for you 24/7 to answer any questions you may have. Yes sir, we have plenty of people helping out folks who are members of WA and for me personally, I offer my own coaching, which people can read about here, I discuss it very specifically there. This is an awesome post and i must commend you for putting this together. This is one of the most insightful article I have ever read in my life. I have been seeing testimonies of different bloggers on how they make large amount of money, but I didn’t know how to go about it. I must say your article has opened my eyes and I will make sure I implement your strategies. Thank you for writing this inspiring article. I started at Wealthy Affiliate a month ago and haven’t made a sale. But I don’t expect that I would make much money that soon. This article reaffirms that as long as I work hard everyday, I will get results eventually. Especially with the help of WA with their vast knowledge and big community it provides. Hi Shelly, one of the main things Kyle, one of the owners of Wealthy Affiliate advises is giving this business the mindset that it is a business and at least 6 months. Your online business is still very early in it’s growth and I will say if you keep growing it, you will be seeing results and I hope to hear your update throughout the next few months! I must say, this is one of the most interesting articles I’ve read in a while. Not only that but that I am insanely jealous! I feel I came upon your article for a reason. I’ve been doing this for 2 months and have not made a sale and have been feeling like maybe this isn’t for me. But you have completely re-inspired me. Nicole hi, you are welcome to tell me more about your site so I can help you turn it into a profitable one. Your site is one of the few that I usually visit for ideas and I’m grateful for great minds like you who are mostly sharing experiences to help beginners like me. Reading your report really inspires me to make this internet marketing adventure work for me. As a newbie, I sometimes ask myself whether these earning reports I read on several blogs of affiliate marketers are real but I’m convinced there’s one way to find out – time. So from now on, I’m going to put in more effort and I hope someday my success will be told. Congratulations and I wish you more success. You’ve been of great help, so keep up the good work. I’m glad my site is helping you! And you are also welcome to ask me questions. Yes, it is VERY possible to build a great site, that makes great money. I will say the best tip I give beginners is trying the program Wealthy Affiliate and committing to the training there, this is how I was able to make my site grow to this level. Seeing your actual totals makes all the difference, proving that all this stuff is really REAL! It can be such a slow go when starting out, so I keep looking to more experienced and successful online entrepreneurs like you to help me keep my focus. I can see that being a real temptation after working so long and hard to get things really rolling. As you’ve described, though, that’s not the way to keep things going strong. I appreciate your honesty and your insights. And I can’t wait to see where 2019 takes you! Thanks so much Cheri, I very much wish you the same success! I saved this page of yours overnight because I really wanted to come back and thank you. I actually met you online when I first arrived and, gratefully so, at Wealthy Affiliate. Four years ago I was new to almost everything internet marketing. Not only did you help answer my questions within the community but, I saw you helping so many others as well. Although, I’m just NOW taking action on my OWN real estate (my websites), I never forget the reasons I never gave up my dream. You were one of those reasons. Thank you for being an outstanding mentor within the WA community and on your websites. Here’s to a huge, blessed 2019 for us all! Thank you so much Fyre! Thank you for sharing your 2018 income report with us and the business strategies you employed to generate such revenue. This page has proven that we can make a full-time income with an online business as long we have the right mindset and determination to succeed. I agreed that we need to diversify our income stream into other areas so that we don’t rely on one product. It’s great to see that you have a couple of projects on hand and I’m looking forward to your $100k income report in 2019.
l need to revamp my business strategy for 2019 too to up my revenue by aggressively promoting the Wealthy Affiliate product too. Hi Shui, I think rather than diversifying the product promotion, we need to find better ways to promote the same product. I am of the mindset (and this hit me in 2018) that if there’s a great product that’s selling well, and we kind of “maxed out” it’s promotion on one site, why not find another way (such as a new site) to market it through? In the case of Wealthy Affiliate, it sells very well to the right niche crowd. To take such a promotion with so much revenue potential, but then ignore it and try to promote another product on another site doesn’t really make sense to me. This is why I said that this year, I’ll be adding 2 new promotions of Wealthy Affiliate (it’s already in progress). This is a great resource! I loved your case studies. They were informative, direct to the point. I am new to IM and will refer to your site in the future for extra guidance as I develop my own site and business. Perhaps someday I will have numbers similar to yours. I am bookmarking your site now. Thank you for sharing your earnings report! I think it is exciting when members can show proof of their earnings and inspire others to do the same thing through their online marketing efforts. It looks like you have been in the game for a while now. There is so much to learn for a beginner like me that it can be really overwhelming at first. I like that you broke down your plan into what your other websites are doing and that you are honest about certain websites not performing well. My first website has not performed as well as I would have liked, but I know that I could have done more with it. Life always seems to get in the way and I lose my motivation after a while. That is why my new website will be primarily about affiliate motivation and giving people the resources and training they need to get started, even if they are on a budget. There are so many tools that can get really expensive due to the upsells. I want to be able to advise people breaking into the business on how to handle some of these graphical issues and WordPress issues without having to spend a ton of money on coaching and mentor programs. Thank you for not being afraid to share your income reports and share your plan for continued growth in the online business. I wish you future growth and success in 2019! Hi Daniel, thanks again for another comment I enjoyed reading. For your site, I would consider heading EITHER in the affiliate marketing topic where you talk about doing it successfully OR a site about the other topic on editing and customizing websites. I would go the first route because there are SO many topics and programs to review that teach affiliate marketing that its just one great opportunity after another to pitch Wealthy Affiliate for and it’s honestly how MOST of my referrals and sales reports for promoting WA came about. There’s nothing wrong with motivating posts either. You can talk about stuff affiliates can do to increase their sales and I did that stuff like that articles like these. It helps, but a majority of the content should be about affiliate marketing programs and pitching WA through that.